What Should a Good Coach Look Like? 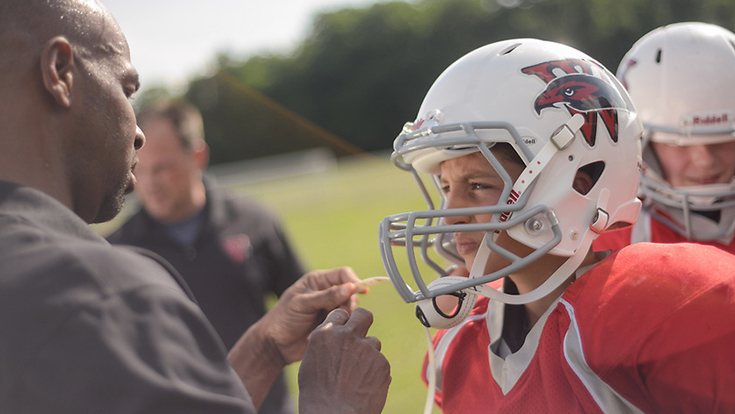 There are many types of coaches in youth sports; some may be right for your child and some may not. As parents, you should be picky. These adults will spend countless hours with your child and can have a big impact on your child’s love of the game. The type of coach your child has could determine how long they stick with sports. Here are some coaching traits to look for that will help your child have a great sports experience. A positive attitude. Your child’s coach should not always dwell on the negative and should know how to encourage as well as critique. No belittling. Children feel bad enough when they lose; a coach who belittles them when they are already down can crush their spirits. Take the blame for a team’s performance. A good coach looks to see how he can help them improve. Highlights the small victories. It’s important for a coach to be observant and recognize the good things that happen, even in a loss. Fights for the team. Obviously, some coaches take this too far and get themselves into trouble by arguing with officials or parents, but a good coach is an advocate for the team. Looks for ways to improve their coaching skills. Beware of coaches who are not teachable and think they know it all because they are usually the ones who don’t. Desire character and winning. Every coach wants to win! But healthy competition goes hand in hand with helping kids have success and fun at the same time. Sees the bigger picture of youth sports. Most of the kids who play youth sports will never play in college, much less the pros. Because of that, a good coach understands the golden opportunity give to them to help kids learn some great life lessons. Loves Kids. There are coaches who coach only because they love the sport and there are coaches who coach because they love kids and the sport. Your kids will know the differences, and those are the coaches they will love and remember. If you are lucky enough to get a coach that has these traits, you are blessed!